The Nebula Awards Showcase volumes have been published annually since 1966, reprinting the winning and nominated stories in the Nebula Awards, voted on by the members of the Science Fiction & Fantasy Writers of America. 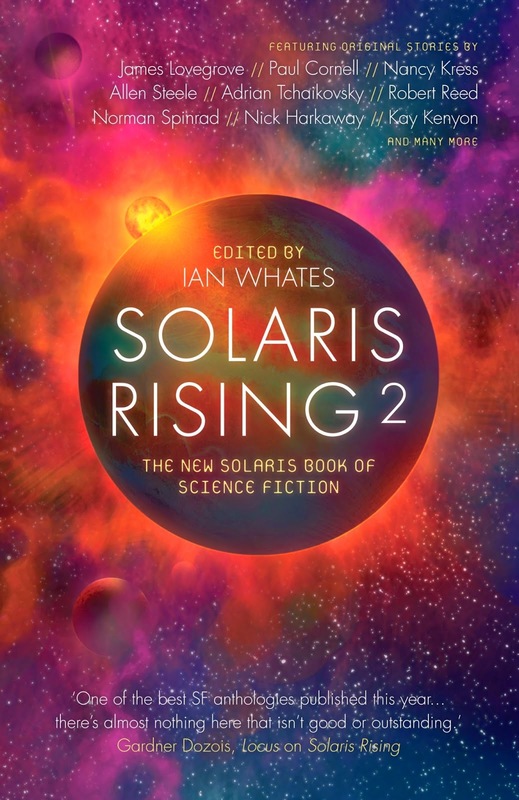 The editor selected by the SFWA's anthology committee, chaired by Mike Resnick, is the American fantasy writer Kij Johnson, author of three novels and associate director of the Centre for the Study of Science Fiction at the University of Kansas. 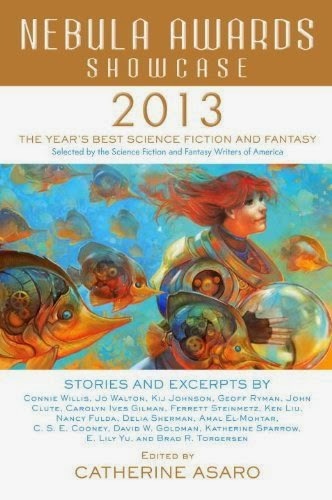 This year's winners and contributors include Kim Stanley Robinson, Nancy Kress, Andy Duncan, and Aliette de Bodard, E.C. Myers and many more. 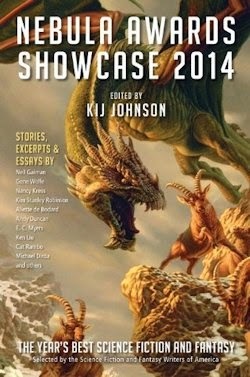 The Nebula Awards Showcase series has been published on an annual basis since 1966, reprinting in each edition a selection of the previous year's finest speculative fiction. Its is a long legacy, then, which guest editor Kij Johnson—herself a recipient of the Best Novella Nebula for 'The Man Who Bridged the Mist'—evidences a welcome awareness of. In her introduction she discusses how things have changed in the nearly fifty years since the founding members of the Science Fiction and Fantasy Writers of America rewarded its first round of genre authors—Frank Herbert, Roger Zelazny, Brian Aldiss and Harlan Ellison, which is to say an array of talent no award can match today—as well as touching on those things that have stayed the same. In this fitting fashion the 2014 edition of the Nebula Awards Showcase series begins... with a look back at beginning. But as Johnson reminds us, this is a time to look to the future too. One conventional wisdom is that our field is a graying field; the writers and readers at its heart grow older; the In Memoriam lists at each year's Nebula Awards banquet lengthens. And it is hard not to stare backwards, ticking each loss off a roster of living greats. Size matters—that's a fact—but bigger is not necessarily better, as this slim Nebula Awards Showcase shows. Nearly every story, essay and excerpt featured here is demonstrative of speculative fiction at its very best, beginning with 'Immersion' by Aliette de Bodard. In brief, it's an impactful piece with a particular interest in identity which wonders who would be if we were able to alter our appearance at the touch of a button. I've talked about this short in the Spotlight, but rereading it here I was no less impressed. I hadn't come across 'Close Encounters' by Andy Duncan before, though. It's about an old soul who finds his memories "welling up like a flash flood" (p.44) after a visit from a pretty reporter researching those who claim to have encountered aliens for an article intended to tie in with the release of the titular film. Is this the premise of the year's Best Novelette? I wouldn't say so, no; not in a year which also saw the publication of 'Portrait of Lisane de Patagnia' by Rachel Swirsky. But 'Close Encounters' is pretty darned heartwarming. The twist at the end of the tale made me happy to be a human being. Who indeed. But it isn't so simple—something the reader knows long before any of the narrative's central characters cotton on. Cannily, Kress communicates this creeping realisation by skipping between three separate perspectives, one of which, wonderfully, is the world. We must move on, but I'd very much recommend you read Stefan Raets' review of what is certainly the year's Best Novella for a longer look at this thoughtful short. Other nominees featured in the latest Showcase include 'The Bookmaking Habits of Selected Species' by Ken Liu, a fascinating glimpse into a number of other galactic cultures and the various ways they share their stories, and 'Five Ways to Fall in Love on Planet Porcelain' by Cat Rambo, an interspecies love story that lingers long, like the limb our tour guide Tikka loses. The Showcase also represents several excerpts, such the pitch-perfect prologue of 2312 by Kim Stanley Robinson, winner of the Best Novel Nebula, and a chapter from the book which took the Andre Norton Award for Young Adult Science Fiction and Fantasy, namely Fair Coin by E. C. Myers—a neat novel that I still can't believe beat Railsea. There's a special section on Damon Knight Grand Master Award winner Gene Wolfe, too, which includes Neil Gaiman's illuminating advice on how to read him, a revealing interview conducted by Michael Dirda when Wolfe "was still a part-time writer and not yet [...] a Living National Treasure." (p.233) This is in addition to 'Christmas Inn,' which terrifically entertaining tale the author himself selected to represent his work in said Showcase. Last but not least, a few pieces of poetry—not my specialist subject, I should stress, but though 'Blue Rose Buddha' left me cold, I enjoyed both Shira Lipkin and Megan Arkenberg's Rhysling Award winning efforts tremendously. For all that, the anthology's lacks are apparent. Some consideration of Beasts of the Southern Wild, the winner of the Ray Bradbury Award for Best Dramatic Presentation, would have been very welcome; in fact, I'd favour more of a critical focus on the whole field in future. And another niggle: this sterling selection of speculative fiction is sci-fi focused, so the fantastical cover by Raoul Vitale, lovely as it looks, is wholly inappropriate. That "there is no dearth of new talent" (p.10) to supplement the masters we noted before is undoubtedly demonstrated in the latest Nebula Awards Showcase. 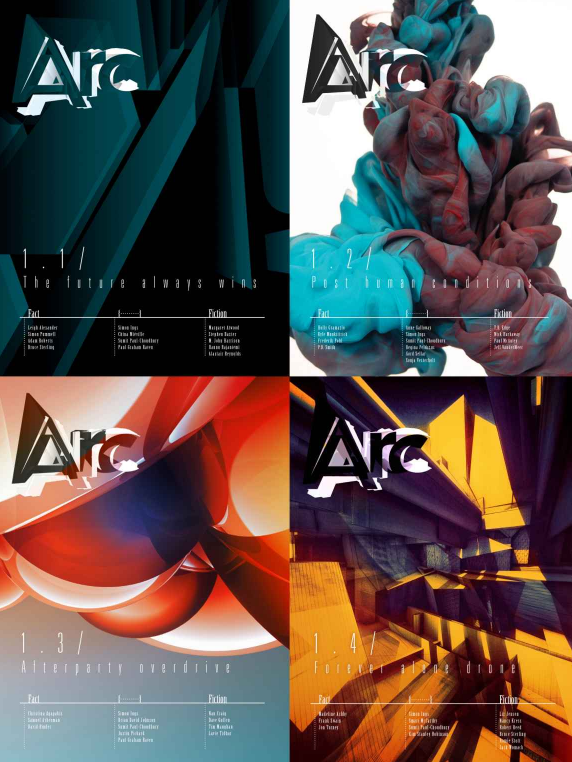 But "will these works become part of speculative fiction's canon? Will any of these authors have the profound effect of the genre that Fred Pohl [and his co-conspirators] did?" As the editor of this essential anthology asserts, "we won't know for decades—or longer—but my guess is yes." (p.10) Mine too. "the founding members of the Science Fiction and Fantasy Writers of America rewarded its first round of genre authors—Frank Herbert, Roger Zelazny, Brian Aldiss and Harlan Ellison, which is to say an array of talent no award can match today"